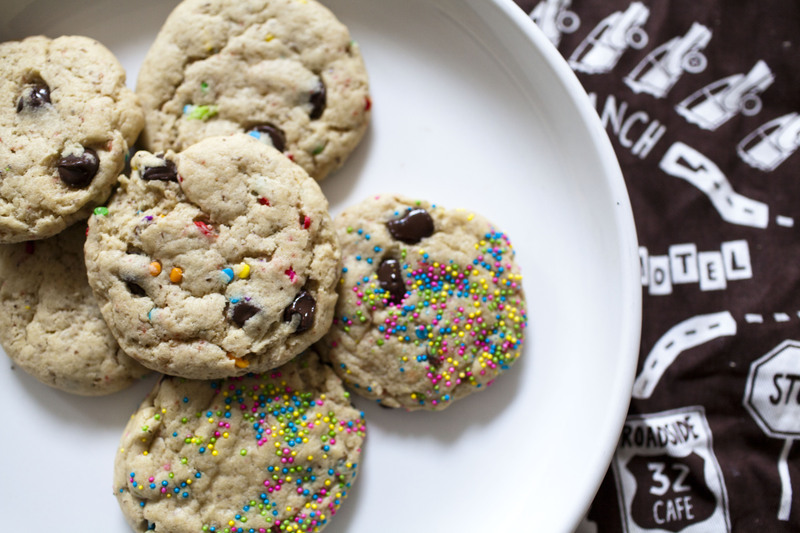 peanut butter chocolate chip sprinkle cookies. oh these cookies. they are the death of me. they have peanut butter, chocolate chips, and sprinkles. LOTS OF SPRINKLES. Oh, and they are ooey-gooey and chewy. I couldn’t get enough of them. Original recipe found here. Place the earth balance, peanut butter and sugar in a mixing bowl and using your electric mixer, mix on medium high speed until light and fluffy, about one minute. Push the earth balance mixture to one side and in the other side of the bowl combine the ground flax seeds, corn starch, non-dairy milk, apple cider vinegar, vanilla, and almond extract. Stir to combine. Now, using the mixer, slowly incorporate the flax seed mixture in with the earth balance mixture. Continue mixing until light and fluffy again. In a separate bowl combine the flour, baking soda, and baking powder. Stir to combine. Pour the flour mixture over the earth balance mixture and use your mixer to combine. Add the chocolate chips and sprinkles and mix some more until the sprinkles are incorporated throughout the dough. Drop cookie dough roughly 1½ inches apart on your cookie sheet. Pour some additional sprinkles on a plate and grabbing one ball of cookie dough at a time, dab the top of the cookie dough ball into the plate of sprinkles to give the top a coating of sprinkles. Place it back on the cookie pan and gently smash the top of the cookie to ensure that the new sprinkles are embedded in the cookie dough ball. Repeat with each cookie. Place the prepared pan of cookie dough balls in the oven and bake for 8-9 minutes. These cookies are best when they’re slightly undercooked so be careful not to over bake. Remove the pan from the oven and allow the cookies to cool slightly before placing on a wire rack to cool completely. 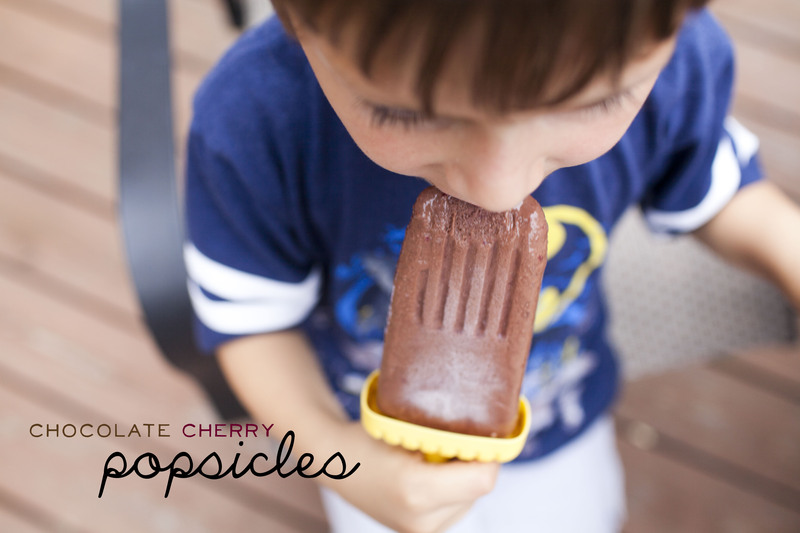 Mix all in a blender, pour into popsicle molds and freeze. I made this little guy using the leftover fleece I bought for milo’s halloween costume. And I have so much ribbon laying around from my card-making days. I found the tutorial and pattern here. The only thing I would do different next time is make the ribbon a little shorter. She suggests 6 inches; i made mine 5 and they were still a little long when i folded them over… But otherwise I think it turned out really cute! Fourth of july is THIS WEEK! what?!!! How did that happen? 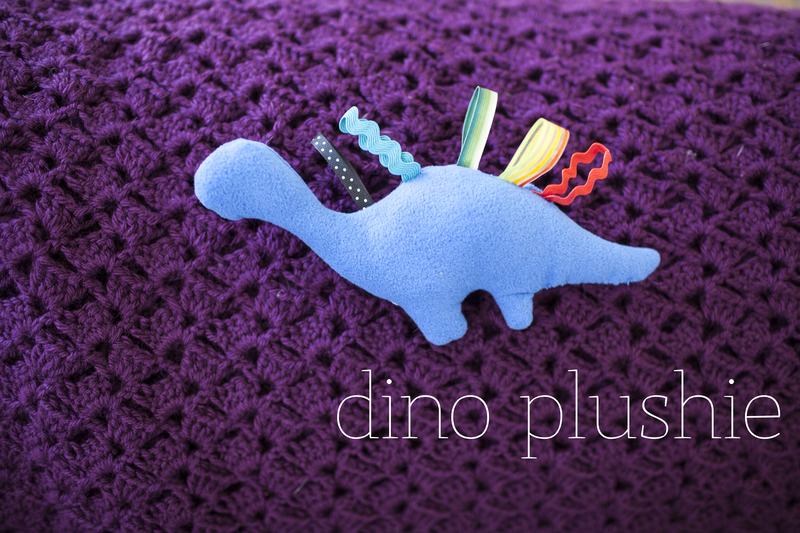 We have plans to check our our neighborhood parade, so I whipped up this fun little wand for milo to wave around. 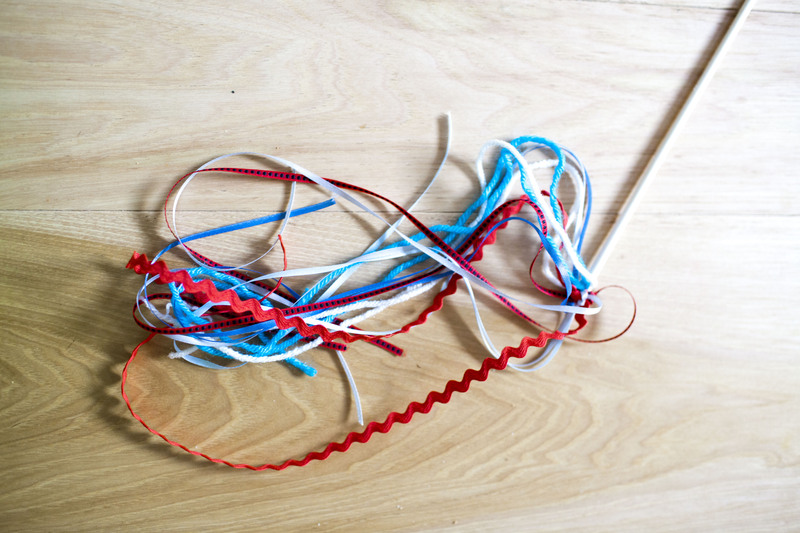 Cut your ribbon to size. You want them to be nice and long so when you wave the wand they twirl around. Screw your hook into the top of the dowel rod. Loop your ribbon through the screw hook and tie. 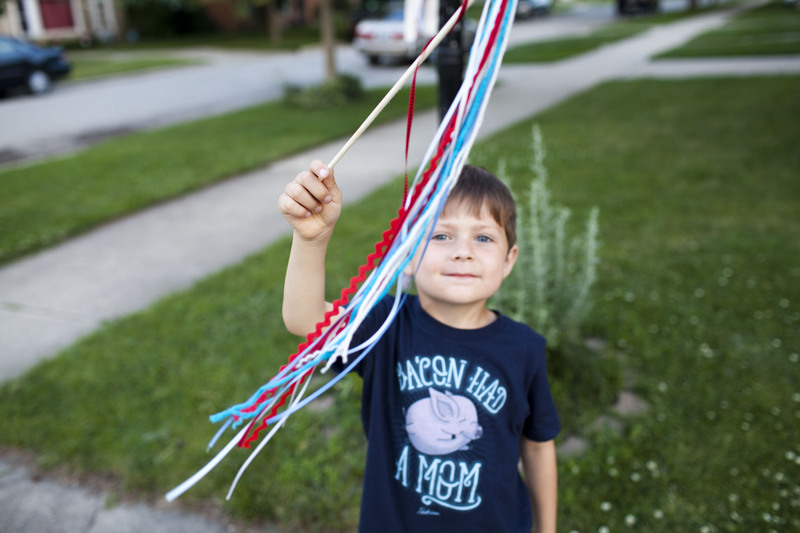 if you are looking for another fun craft for fourth of july – Dont forget about these fun windsocks!